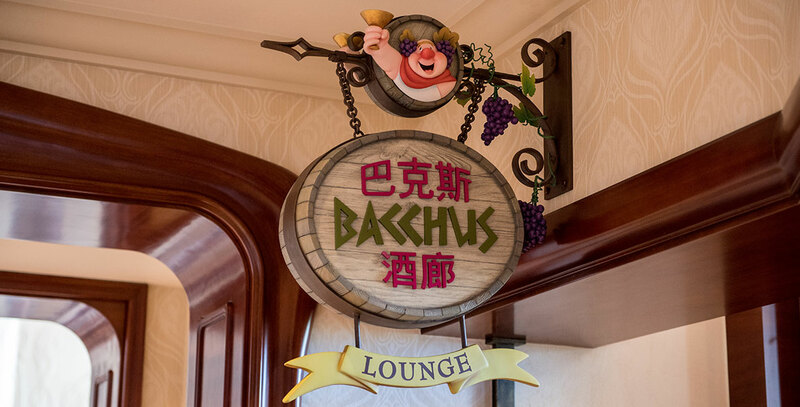 Bacchus Lounge Lounge at the Shanghai Disneyland Hotel; opened June 16, 2016. Cocktails, wine, and high-end snack foods are offered. Inspired by “The Pastoral Symphony” segment of Fantasia.